Wengen, Switzerland – It was thigh-burning, legs-shaking race at the Audi FIS Ski World Cup in Wengen on Sunday, complete with crashes, screaming fans and course holds. Hannes Reichelt from Austria took first. 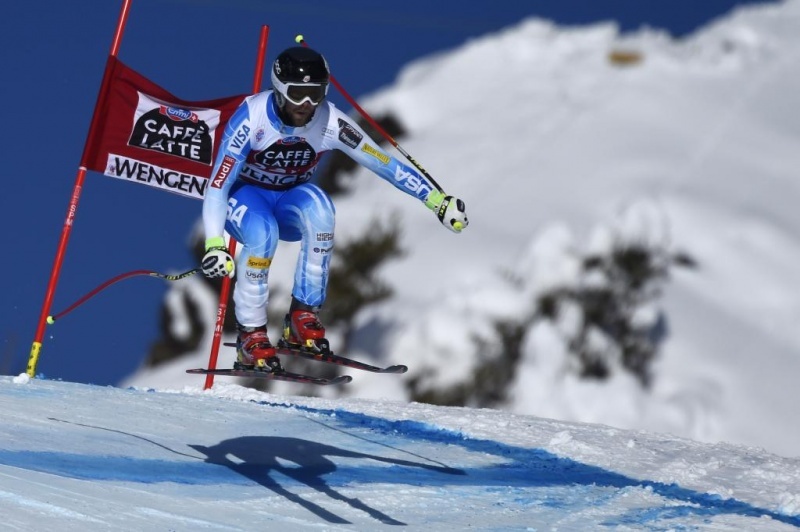 Competing on home turf, Beat Feuz and Carlo Janka of Switzerland rounded out the podium. It was a perfect bluebird day on the Lauberhorn—one of the classic downhills on the World Cup circuit. The men reached 100 m.p.h. speeds in front of the crowd estimated at 30,000 to 40,000 fans, and had to put everything they had into this course—the fastest guys had times of 2 minutes, 36 seconds of the 2.78-mile course, which makes this the longest World Cup downhill. Steven Nyman, of Provo, Utah, was the top American finisher of the day, grabbing 14th place. Nyman was thrilled with his result, especially because he is still recovering from being sick, which left him low-energy throughout the week. Jared Goldberg, of Holladay, Utah, had a good run as well, skiing to 23rd place. Crashing into the finish, he looked to the board to see his result and pumped his fist in excitement. Marco Sullivan and Travis Ganong, both of Squaw Valley, Calif.—who finished 44th and 31st, respectively—were not thrilled with their results, both getting caught in the soft snow. Their thoughts have now turned to Kitzbuehel. Wiley Maple, of Aspen, Colo., did not finish, skiing out after hitting the fence. 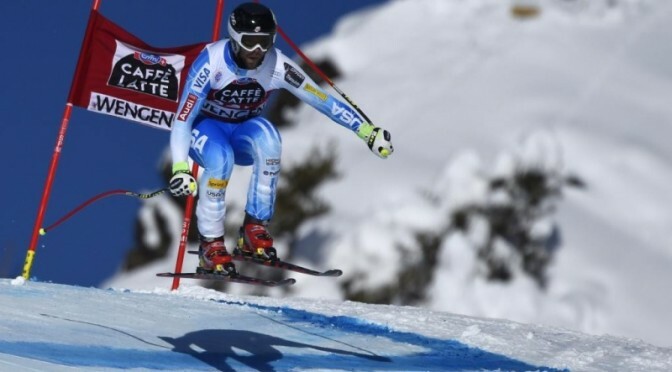 Bode Miller, who won the Wengen downhill in 2007 and 2008, foreran the race as he continues to attempt a return to the World Cup circuit following back surgery. The speed teams now prepare for the infamous Kitzbuehel downhill. The weekend begins with an alpine combined on Thursday.